A collection of Spoken Word tracks set to music that glorifies Yah and highlights his chosen people, Israel. Egypt was vacated, ’cause Yah set out to build the perfect nation. forty years complaining. Even then only a small remnant was able to make it. Majority of ’Brews were put down for testing Yah’s patience. Put in the ground for they black-hearted reputation. And you wonder why they fed our helpless babies to them ’gators? Don’t cross the Most High. Just live up the laws, statues, and commandments he gave us at Sinai. Israel, supposedly Yah’s chosen people, no nation equal. But made Moses strike a rock he was only supposed to speak to. Instead of driving out all the Canaanites, what did we do? Spare some and go on to commit unspeakable evil. Once the apple of his eye, we became that harlot wife he divorced. destined for change. No one but ourselves to blame. Hey. But Hebrews today are doing evils that seem no different. We have no sense of commitment. It’s ridiculous. This is no time to be playing with your salvation, Israel. It’s time to repent and turn back to the Most High Yah. We reached the height of fame, and had the greatest kingdom under Solomon’s reign. But after his death everything changed. After the kingdom split things were just . . . never the same. And we broke the covenant we made with Yah back in the day. and resurrected after giving Yah a slap in the face. That’s why I keep my eyes glued to the Script. Others make him out to be nothing more than a fanciful myth. Listen, keep the commandments, believe and live. Serve The Most High Yah to your best. Now that’s about as simple as it gets. Israel it’s time to repent. It’s either us or it’s them. Friend or foe. Come on, don’t pretend. If you for Yah, let me hear you say it. Let me hear you make some noise. Yah had Michael toss the dragon out of his presence. He want you to slip up, go full rebel, disobey the law. It’s about time for you to start making some real hard choices. Is it goin’ be that red dragon, Satan the devil, who’ll leave you in the lurch? Soon to rise up to face the lake of fire with the heathen of earth. And guard your five senses. Remember what happened back in the Garden. But demons will inhabit your friends and family when come to visit. So beware of their false words, they may be inviting you to die. This is war, you best be prepared, and sharpen your sword. And if they some trees that ain’t bearing righteous fruit, he’s cuttin’ them down. And for those who’re choosing Yah over all that, see you in the kingdom. Kingdom Prepper, back with another one. when I was a lost soul, a brash, bold, faithless sinner. Filled me with hope, had me believe on his anointed Messiah. Sent his only begotten, and I knew then that it was for me that he bled. And I finally woke up after his truth stabbed at me gradually. So. . . .
One final push and it’ll all be over. Like the good book done told ya, we living in the days of Noah. But I serve Yah, and if you knew what I knew you’d be serving him too. Just keep on believing, and you’ll be surrounding by heaven’s supreme beings. You keep that fierce heart of a lion, we not far from triumph. If you hold on a little longer you’ll see how hot Yah’s vengeance can get. Hittin’ ’em with hurricanes, tornadoes, fires, floods and such. Not the heathen, not by a long shot, ’cause they judgment ain’t up. we serve Yah, we in modern-day Goshen, that mean we ain’t gettin’ touched. So. . . .
Babylon is falling down now. Babylon is falling right now. You getting comfortable in this wicked world? Well that’s too bad for you. Yah ’bout to bring his ’Brews back to Jeruse. Crashing economies and bringin’ rage to these fake Jews. And we ’Brews ’bout to be back on top, best believe that. We’ve been saying this for years, but the world’s not understanding us. and stay deceived thinking they way out his reach. This ain’t nothing, stand back and watch this whore burn to the ground. so that you will not participate in her sins. ’Cause the sins of this world are more than what we call appalling. ’Cause Yah’s been largely silent, the wicked are taking advantage. you want to get bed with that harlot, you takin’ chances, and headin’ for damage. Final judgment’s ahead, and heaven’s about to empty out. to hear you scream, at horrors like . . . something out of a dream. Repent of your sins, and stay written in the book of Life. If memory serves them Canaanites were the first. and it was mostly through them that we were cursed. and brought heat, paving the way for the nation of Greece. didn’t see us go down in defeat, that proves our history is deep. we watched our city burn in flames, and we fled in shame. to that West African Slave Coast in droves. and eventually enslaved our entire nation again. Now we want to serve Yah . . . so all we want is our freedom. we’ve been in these foreign lands to this day. Nah, we were forced on them plantations so them white men could bring home the bacon. picking endless fields of cotton and rice, and stripped entirely of our rights. And . . . too many atrocities to name since we been on these shores. We were still beaten down in broad daylight and strung up on them nooses. hosed us down raw, and unleashed the dogs. and all we did was protest and shed endless tears, and show fear. don’t even know that they trapped. Take a good look around and see how our people are still disgraced. We the only race they show such violence and hate. our people are showing a rare degree of patience. and these beast, cutthroat police stay gunning us . . . down in the streets. But nearly each and every time these killer cops get away with murder. You ain’t seen the worst of these savages yet, but I digress. This is exactly the way it’s supposed to unfold. Yah gonna put an end to this soon enough, that ain’t no bluff. Brimstone and fire gonna rain when he rip us out of they clutch. 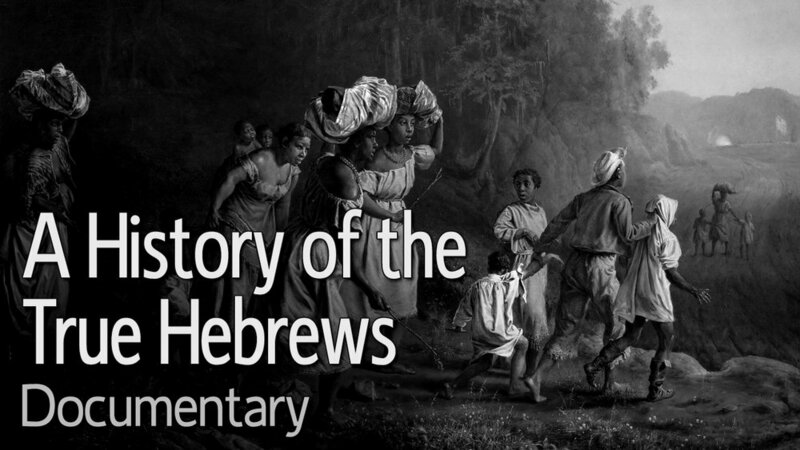 What did you think about Hebrew Tales?